Tuesday?numbers: Styne (Tucker)-Webb (Sean)-The Five 1-2-3. Five things you didn’t know about:?Tomi Lahren and?Joan Walsh. Scheduler: Rupert should buy the WWE. ?Monday numbers. Ten unanswered media questions. ?NBC: Calling?all squealers. Impartial MSNBC anchors?laud attack on ‘neo-Nazi’ Fox News. CNN falsifies?funding of the Trump ‘dossier’. ?Weekend numbers. CNN Snapchat failure is?a setback; but mistakes are?how we learn. Sara Carter joins Fox News. ?Joe Trippi leaves Fox News. Cable news baby boom: Kate Bolduan and?Elizabeth Prann. Tomi smeared with faked photo. ?2017 predictions revisited. Costello: Time to retire ‘inherently sexist‘?It’s a Wonderful Life. Reliable Sources: Trump?a liar; like a dictator,?attacking media! 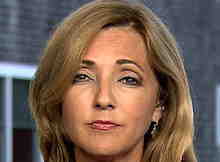 MSNBC fires Joan Walsh. ?Flashback: Walsh lies about O’Reilly. CNN snaps up Walsh. ?Father Knows Best: The Christmas Story. More Inheritances. ?That Girl: Christmas and the Hard-Luck Kid. ? Arthel Neville wins Reddick Award. ?John and Kyra moonlighting. CNN to air live commercial. 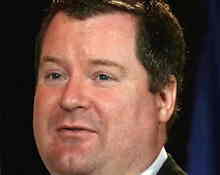 ?Fox News gets top dollar for ads. Co-hosts of Fox & Friends?top Mediaite’s?‘most influential’ list. 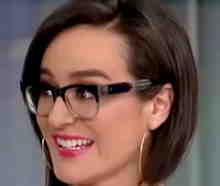 Concha: NYT takes Thrush off WH beat…what say you?MSNBC? 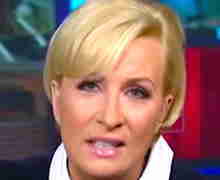 Strange Trump custom befuddles MSNBC: starting?with a prayer. CNN staff elated?‘rude’ Bolduan is on leave. ?Erin’s eye wide shut. 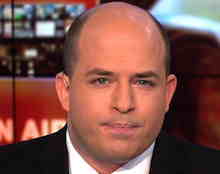 The War on Fox: CNN joins Media Matters?in anti-FNC crusade. Who’s buzzier? Fox News is #4, CNN #17 on?buzziest brands list. What viewers clamor for: more Chris Cuomo! ?Weekend numbers. 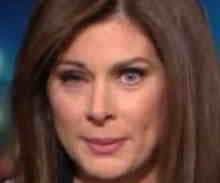 Erin Burnett: Don’t look at me! ? Disney deal antitrust issues. CNN pundit under fire for?calling bacon costume ‘anti-Semitic’. Profile: Jilian Mele. ?Somerby: A new generation of cablegogue. Bloomberg launches first-ever 24-hour?news channel on twitter. Briefing room baby boom not fake news: just?ask Kristen Fisher. Rupert doubles down on FNC, may?expand its reach?to broadcast tv.